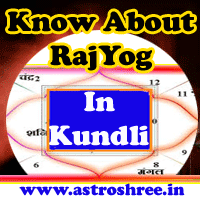 All about vedic astrology, predictions, kundli reading, horoscope analysis, best astrologer, rashifal. Read about daily jyotish updates and black magic solutions, vastu remedies, hindi jyotish in ujjain. Share market is one of the best money market where if luck support then no doubt in a very short period of time one can become millionaire and if luck not support then in a very short period of time a person incur heavy losses and lost everything. It is said that only a few people are able to make money in share market because with luck there is also a need of minute study of stocks. Well we can also study the horoscope in vedic astrology to know that whether anyone is able to earn from stock market or not and why. There is impact of stars, nakshatra and planet on every one and due to this with the change of planetary position market trends also gets affected. So if we know about the impacts of planets then we can somehow predict about whether to enter in the stock market or not. Do you know which type of people get success in Share Market? Those who are able to take prompt decision at the time of stunning changes in share market can get success in stock market. Those who are able to keep an eagle eye on market news, everyday some important changes are taking place in some company, if we know about the that changes then it help to take decision about the company. Those who are able to perform analysis of stocks minutely. Analysis of stocks are necessary, without study it is not possible to take steps confidently. Those who have patience. Sometime after buying shares, it start going down, at that time it is necessary to keep patience. Those people who have strong planets in horoscope or kundli. As per vedic astrology Following houses of horoscope/kundli/birth chart are very important to know about success in share market, commodity market or any speculation work. Lagna i.e. Ist house- this house represent the brain power of a person and so is very important. If anyone has sound lagna then the person is able to take quick decision. Profit House i.e. 2nd house of horoscope which represent benefits in life. Karma house i.e. 10th house – this house shows which type of work is suitable for a person. Income House i.e. 11th house- this house shows the position of income of a person. Study of this house reveals that how much person is able to earn from any work. Lucky house i.e 9th house- if this house is generating good power then person is able to earn easily from business, work etc. So if anyone wants to earn from share market then it is necessary to check the houses minutely and the impacts of planets on these house. Know from astrologer whether you are able to earn from share market or not. For a minute analysis of your horoscope and to get remedies to minimise the planets or stars malefic impacts contact ASTROLOGER via www.astroshree.in. Know from astrologer that whether stock market is good for you or not. Know from vedic jyotish that whether speculation is good for you or not. Know the remedies to make your life successful. 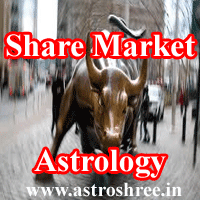 Share market astrology, houses responsible to bring profit in share market, stock market and jyotish.